Guatemala’s Mayan Heritage and Nature Foundation, or PACUNAM (Fundación Patrimonio Cultural y Natural Maya), have discovered a Mayan ‘megalopolis’ hidden beneath the jungle. Researchers used airborne rapid laser light pulse technology (LiDAR mapping) to survey the ecosystem without disturbing it. The high-tech light detection and ranging scanner releases around 150,000 laser pulses each second, creating a topography map from the skies above the national park. Computer modeling then allows archaeologists to see a digital reconstruction of the prehistorical ruins, concealed by half a million acres of jungle. This virtual map revealed a colossal civilisation far greater than Maya historians had previously believed. Networks of sophisticated irrigation, road links and defense systems reveal the complexity and connectivity of this highly advanced civilisation. These recent findings are just the beginning and have paved the way for centuries of archaeological research. Thomas Garrison, an archaeologist at Ithaca College, told the Telegraph that “What you are seeing is just phase one of a three year program to document most of northern Guatemala’s Maya Biosphere Reserve”. Eventually more than 5,000 square miles (14,000 square kilometers) will be surveyed in an effort to map the settlements, which stretch all the way north to the Gulf of Mexico. Be part of the survey team. There are still hundreds of cities yet to be discovered. Join archaeologists and anthropologists deep in the jungle of northern Guatemala, at the remote, sacred Mayan sites of Uaxactun and Tikal as they explore thousands of unsurveyed lowlands. 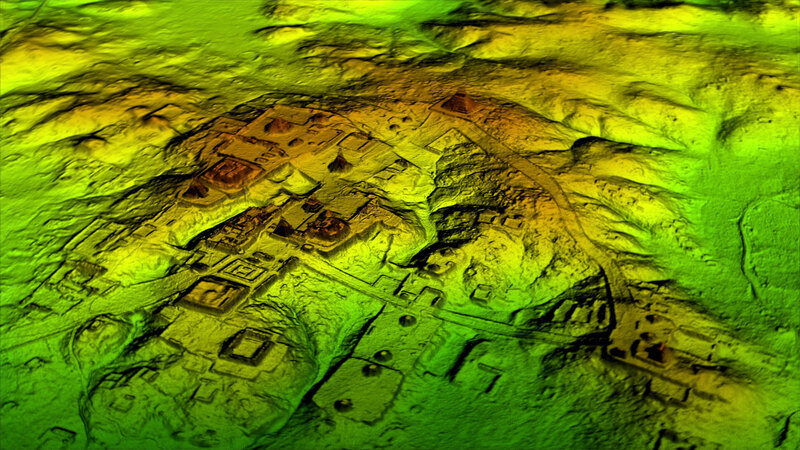 Take to the skies in a helicopter to test the advanced LiDAR survey techniques which led to the discovery of this Maya ‘megalopolis’. Participate in ground-based research to investigate hundreds of previously unknown structures including palaces, tombs, pyramids, roadways and fortresses. As part of your own bespoke Luxpedition, spend the night in a luxury jungle camp - complete with hot shower, chilled champagne and cooling fan. Hear stories of Mayan mythology from an expert historian, then wake to the distant calls of resident howler monkeys in your own private Mayan citadel.